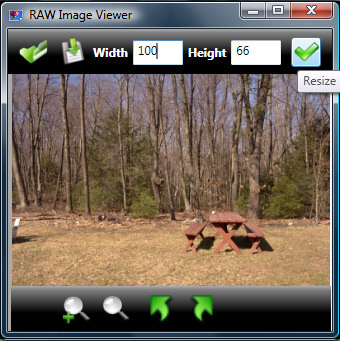 RAF Viewer, have a very simple and easy to use interface. 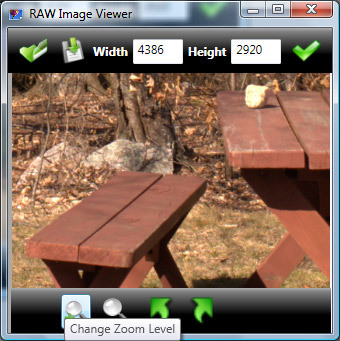 On the main screen of RAF viewer you have all toolbars that are needed for resizing, rotating, zoom in/out and save - convert the opened image to other extensions. 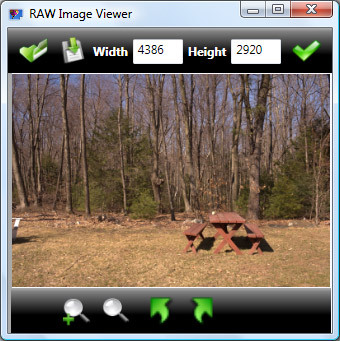 As you can see on the screenshot below, zoom in to RAF image can be done with very little losing of quality of image. The button next to zoom it fits image to display. 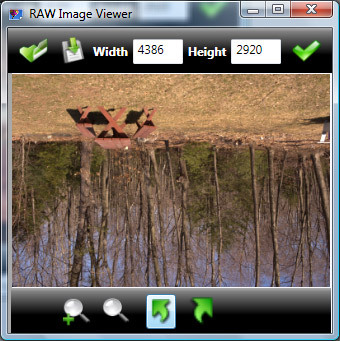 Rotating of the image can be done 90 degrees clockwise or counter-clockwise, just with clicking on arrow toolbars.